THE FLATS – Anders Albertson and Richy Werenski finish strong at the RSM Classic … Seven former Yellow Jackets among top 125 in FedEx Cup standings … Matt Kuchar continues international odyssey … Three former Jackets get ready for Web.Com Q-school final stage … more in this week’s Georgia Tech #ProJackets Report. 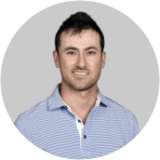 Now that the PGA Tour has completed the fall portion of the schedule, seven former Tech players are listed among the top 125 in the FedEx Cup points standings (the cutoff for making the playoffs and retaining playing privileges for the following season), and three of those are in the top 30 (cutoff to make the Tour Championship at East Lake Golf Club): Matt Kuchar (7), Chesson Hadley (17), Richy Werenski (21), Anders Albertson (50), Roberto Castro (88), Seth Reeves (93) and Stewart Cink (109). Richy Werenski and Anders Albertson made the strongest push last weekend, both tying for 15th place (13-under-par 269) at the RSM Classic in Sea Island, Ga. Werenski bolted into striking distance with an 8-under-par 63 Saturday and finished with a 66 Sunday, while Albertson shot 66-67 on the weekend. Five of the eight Yellow Jackets in the field made the cut, with Roberto Castro tying for 58th place, Seth Reeves tying for 71st and Ollie Schniederjans tying for 74th. All three of Tech’s Web.com Tour graduates – Albertson, Castro, Reeves – played solidly in the fall portion of the schedule. Each posted a top-10 finish and earned more money in five PGA Tour events than they did all of last season on the Web.com Tour. Albertson made four cuts in five events, Castro went 4-for-4, and Reeves went 5-for-5. Matt Kuchar won his first tournament since 2014 at the Mayakoba Classic, his eighth Tour victory, Richy Werenski tied for third at Mayakoba and tied for 15th at the RSM Classic, while Stewart Cink had a high finish of 13th at the CIMB Classic. Following his victory in Mexico, Kuchar continued his international odyssey by playing in last weekend’s Australian Open, where he finished in a tie for 23rd, starting strong with with rounds of 70-67, but fading on the weekend (73-75). He remains Down Under this week, partnering with former Clemson All-American Kyle Stanley to represent the United States in the ISPS HANDA World Cup of Golf, in Melbourne, Australia. They will look to record the USA’s 25th title since the tournament’s inception in 1953. With eight total appearances between the Ryder Cup and Presidents Cup, as well as twice a representative for the United States in the World Cup, Kuchar is no stranger to team success. In 2011, Kuchar teamed with Gary Woodland at Mission Hills Golf Club in China to win by two strokes over Germany and England. He also earned a bronze medal in the 2016 Rio Olympics and has played on eight Ryder Cup and Presidents Cup teams. Web.com Tour: Georgia Tech graduated three former golfers from the Web.com Tour to the PGA Tour following the 2018 season, and three other alumni are still in the race to replace them for 2019. Paul Haley, J.T. Griffin and Vincent Whaley are all in the finals of the Web.com Tour Q-Schoo, which will take place Dec. 6-9 in Chandler, Ariz.
Haley was the medalist at the RTJ Trail Magnolia Course in Mobile, Ala., with a 23-under-par total of 265, while Griffin tied for 12th place there (17-under 271). Whaley tied for sixth place (16-under-par 272) at Southern Hills Plantation in Brooksville, Fla.